As our Nelson customer PD Designs has found, showcasing more products can increase sales, as it helps customers to visualise the products in their home. One of our Nelson customers is hoping a new showroom will bring a boost to business during 2014. PD Designs, a kitchen and joinery specialist based at our Lomeshaye Business Village, in Nelson, near Burnley has created a new larger showroom to showcase its work to customers. The business had already had a showroom, but after experiencing business growth it has now knocked through to another unit to make the business space 900 sq ft larger. Joe Dunne, who co-owns PD Designs with Janine Clayton, says “The biggest thing is that now we are able to display bedrooms, which we couldn’t do in our last one. We spent around £30,000 on the showroom so it was a big gamble on our behalf. Joe says the company is much busier than it was last winter, suggesting business is picking up. They currently have work right up until March and April but in December 2012, things were much quieter. He says: “Last winter we had very little to do and things didn’t improve until spring. Winter really is a make or break time for businesses. 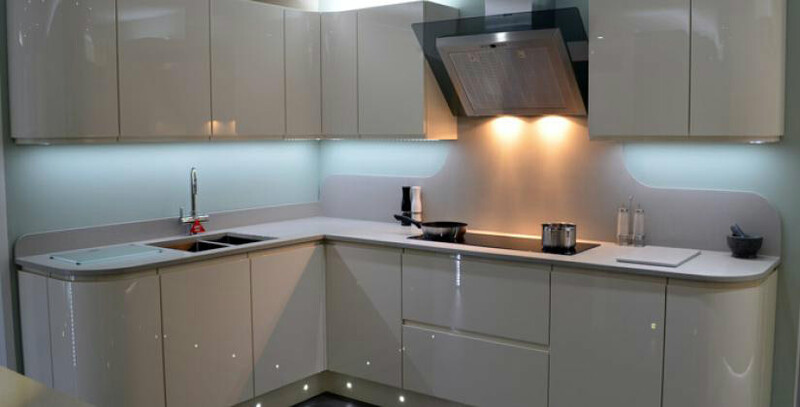 PD Designs creates fitted bedrooms and kitchens – designing, manufacturing and installing pieces which meet customers’ individual needs. The company began in November 1994 and celebrates its 20th anniversary next year. It moved to Lomeshaye Business Village 10 years ago after a fire at its previous premises. PD Designs has a joiner’s workshop next to the showroom where the work is carried out. Lomeshaye has more than 50 commercial units for rent in a variety of sizes including large industrial units and smaller workshops. It has excellent transport links and is close to the M65, as well as being walking distance from the centre of Nelson. To find out more, email Business Centre Manager Kirstie McClelland or call 01282 602047.